NYLCV is proud to release our 2018 NYC City Council Environmental Scorecard, which holds members accountable for their environmental actions while in office. New York City released its roadmap to eliminate childhood lead exposure by 2029 by expanding blood-lead screening in children, increased enforcement and interagency collaboration, and increasing public education on lead risks. NYLCV believes that while all of these measures will help reduce incidences of lead poisoning, the most critical step towards eliminating lead in paint and dust, the main source of exposure in children, is stronger enforcement that are on the books. As we all know, traditional pesticides contain toxic chemicals that are harmful to people and our environment. One of the more interesting sustainable alternatives we recently learned about is the small and colorful ladybug. The New York City Council held a hearing on lead poisoning prevention and to discuss a package of 25 new bills aimed at combating lead hazards. In our testimony we emphasized the need to optimize and streamline efforts to prevent childhood lead poisoning. Governor Cuomo and DEC announced that the settlement funds will be invested in clean transportation including earmarking 40% for buses - a successful step forward in our Clean Buses for Healthy Niños advocacy campaign. DEC will prioritize these emissions reduction projects in environmental justice communities that have traditionally been overburdened by pollution, which leads to higher rates of asthma and other respiratory illnesses. This past July, New York City had to suspend its use of speed cameras after lawmakers in Albany were unable to renew the program. 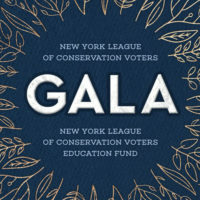 Governor Andrew Cuomo, Mayor de Blasio, and the New York City Council worked together and developed a solution to state lawmakers’ lack of support. As part of Vision Zero, DOT is bringing streets into the public realm by building pedestrian plazas. Turning streets from car-filled conduits into attractive places to relax makes city streets more inviting for pedestrians and help drivers become more aware of the need to drive slowly and attentively. Adriana Espinoza, our NYC Program Director, recently submitted testimony to the New York City Council's Health and Finance Committees last week regarding our healthy foods budget priorities. We called for a $10 million investment to expand grocery store access in underserved communities, a $15 million to increase healthy food SNAP incentive program, and a $3 million investment to increase healthy food options at corner stores.